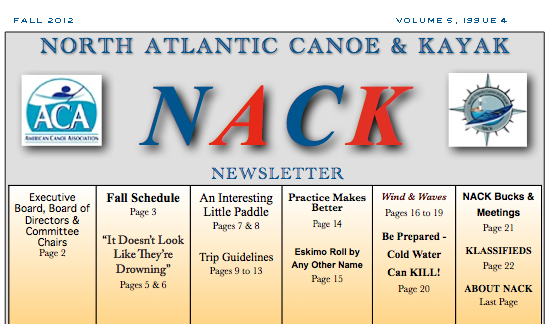 The North Atlantic Canoe & Kayak Newsletter now available. Hal has never disappointed us. Here is his newest creation, our Fall Newsletter.